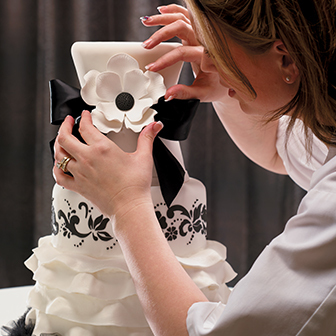 We offer the absolute best in innovative, safe and high-quality cake decorating solutions, to provide you everything required to grow your business. We provide solutions and products for your bakery to make every cake stand out. Whatever the celebration, we have a cake decoration for nearly every age, occasion and season. 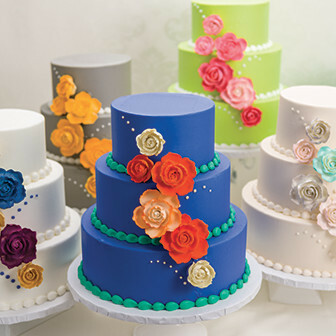 Our offerings include the largest portfolio of in-demand licensed products, PhotoCake®, the industry-leading Print on Demand cake decorating solution, and premium cake decorating supplies – from Bakery Crafts Cake Structure Sets to pastry bags, decorating tips and Premium Colors. If we don't carry something you need, just ask us! Our team is constantly on the lookout for the trends, products and ideas that will keep you at the top of your game. We will carefully evaluate your request and do our best to meet your needs. DecoPac unconditionally guarantees the quality of every product we sell. If any product fails to perform as demonstrated or expected, simply return it for replacement or a full refund. We design and oversee the manufacture of our products because we are committed to bringing you the very best quality at a great price. 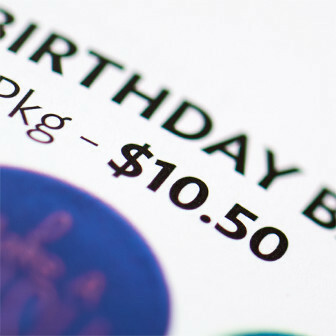 We are frequently asked by our customers what they should charge for a cake decorated with DecoPac products. As a rule of thumb, most DecoPac customers find they can increase their price an average of $5 to $7 for cakes decorated with our generic or licensed products. This is over-and-above the price of cakes decorated with icing designs, which require more of a cake decorator's time. 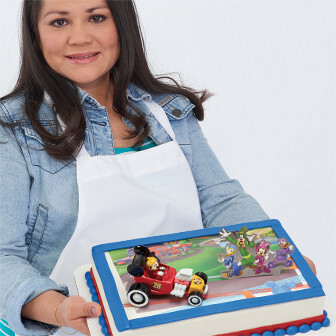 With our DecoSets®, there is also the value-added feature for the consumer; not only do they get a delicious cake, they receive a keepsake for after-party fun. 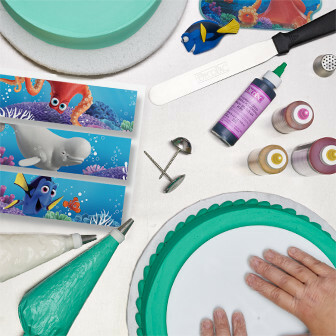 Save additional cake decorator time by pairing DecoSets® with PhotoCake® Backgrounds, featuring licensor-approved detailed designs that consumers love. As a result, you can make more money on cakes decorated with DecoPac products. 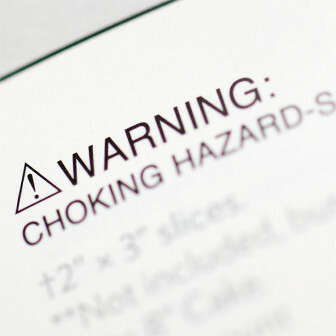 Products, packaging and promotional materials are clearly marked for safety notices and stickers are included in all DecoSets for your use to inform customers . . . we encourage you to use them. All prices in our catalog are quoted in U.S. dollars, F.O.B. Minneapolis, Minnesota, and are subject to change without notice.